VES 1st Grade and 3rd-5th Grade Parents are invited to the PTO Meeting with a 1st & 3rd Grade Art Show starting at 7 p.m. on April 25. 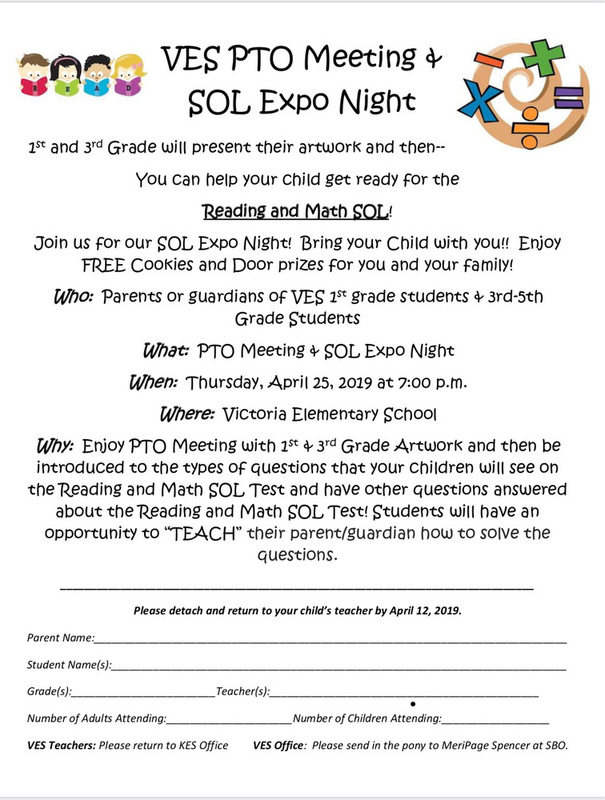 Immediately following, 3rd-5th Grade parents are invited to learn more about the SOL tests with their students. There will be door prizes and cookies to enjoy. A flyer will come home soon and you can RSVP so we have enjoy refreshments for everyone. We look forward to seeing you there! !